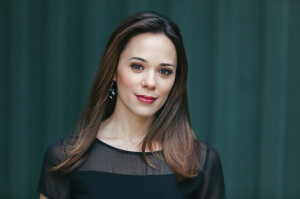 This season Rachele joins the Kansas City Symphony for Handel’s Messiah, returns to the Pittsburgh Symphony for Haydn’s Mass in Time of War and Handel’s Messiah, makes her role debut as Héro in Béatrice et Bénédict with the BBC Philharmonic, and appears in concert with Opera Roanoke and Opera Maryland. She will also join the Korean Symphony Orchestra in Seoul for a staged performance of Rigoletto as Gilda. In 2019, she will also be seen as Olympia in Les contes d’Hoffmann with Teatro Colón in Beunos Aires. Notably, she has performed the role of Ophélie in Hamlet with La Monnaie in Brussels under the baton of Marc Minkowski. She has also sung Blondchen in Die Entführung aus dem Serail with Jérémie Rhorer and Le Cercle de L’Harmonie with Festival d’Aix en Provence and Théâtre des Champs-Élysées in Paris, as well as with the Grand Théatre de Geneve. She has been seen as the Fire and the Nightingale in L’enfant et les sortileges with the Bayerische Staatsoper and the Osaka Philharmonic in Japan, and took part in a special staged production of Chin’s Alice in Wonderland with the LA Philharmonic, led by Susanna Malkki that was later performed at the Barbican with the BBC Symphony Orchestra. The stupendous performance of the evening – one that provoked gasps from the audience and a 40-second-long ovation – was delivered by coloratura soprano Rachele Gilmore. Olympia’s aria “Les oiseaux dans la charmille” (“The birds in the arbor”) has become her signature, and Friday’s performance showed why. In a voice pure and penetrating, Gilmore soared above the traditional soprano scale, tossing off runs, trills and swells with impunity. Her acting also was also a tour-de-force, as she batted her eyes in sync with her trills and batted Hoffmann around with her shepherdess’ cane, all the while moving around the stage like a robot. As his ill-fated daughter, Gilmore delivered a silvery soprano, nailing “Caro nome” with an effortlessness that thrilled her audience (who cheered prematurely). Hers is a big voice produced from a small, slender frame — a petite stature that added immeasurably to her gentle, sympathetic characterization. The star of the performance was the soprano Rachele Gilmore, a former FGO Young Artist from suburban Atlanta who has gone on to roles in the world’s leading opera houses. Dark-haired and petite, she sang with enormous vocal power, depth of feeling and beauty of tone, bringing the complete package to a role that requires both extreme virtuosity and a gift for the melodic long line. Rachele Gilmore, in Knoxville Opera’s production of Lucia di Lammermoor, thrilled a cheering, applauding audience in what was the most solidly accomplished KOC production in recent history. Gilmore has what sopranos dream of: clear-as-a-bell, seemingly effortless high notes, and vocal flexibility with power throughout her range. Her size and voice seemed perfect for her fragile and haunted Lucia. Her fragile psyche was evident in her first-scene aria, ‘Regnava nel silenzio’, and also in ‘Quando, repito in estasi,’ in which the character of the flute, harp, and Gilmore’s articulation define the precarious dramatic divide opening before her. “In the famous ‘Mad Scene’ in the third act, Gilmore’s Lucia was the image of tragedy, alternating between a pale, dying flower and a menacing fiend. As the tension built and the impact of the tragedy upon the wedding guests edged higher, Gilmore’s vocal madness rippled like waves in a bloody pool. And, those infamous high notes cut through it all like the bloody dagger in her hand.